Thika United to play U-20 National team in friendly. Thika UTD in a recent match. Thika United FC will on Friday 23rd March play host to Kenya Under 20 national team in a friendly match, set to kick off at 10am at Thika Sub-County Stadium. 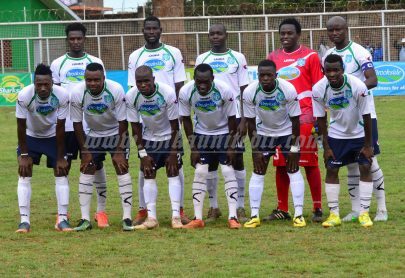 Thika United who will be taking on Posta Rangers away in Machakos in their next league fixture on 31st March, are yet to find the winning touch. But coach Muyoti shall be aiming to work on the finishing quagmire in front of goal, when they play the U-20 team, in the FIFA weekend. The National team which has been in camp in preparedness to take on Rwanda in a two-leg Africa U-20 Cup of Nations qualifiers on 30th March (Kenya) and on 14th April (Rwanda). The match is slated for Friday 23rd with kick off at 10am, at Thika Sub-County Stadium. Compiled by Ken_Magu. ← Thika United get injury boost as Oruchum and Mukangula resume training.